A South Korean cryptocurrency exchange known as Coinrail has been hacked for over $40 billion won (488 billion South African Rands). Apparently, the company announced on Sunday, June the 10th that it suffered an attack and that they were investigating the situation. After it, on Monday, it confirmed to the community that it suspended its services following a ‘cyber intrusion’ on its platform. The company did not inform the exact amount stolen but mentioned some of the affected tokens such as NPXS, ATC, and NPER. As per information released by Pundi X (the company behind NPXS), more than 2.6 billion NPXS tokens have been stolen with an approximate value of R256 Million (ZAR). According to data from a wallet address that is associated to the hacker, has moved 93 million ATX tokens and 831 million DENT coins. These currencies are worth over R1.3 billion South African Rand. Other tokens related to projects like Jibrel Network, Storm, Kyber Network, B2BCoin, and Tron have also been stolen. This is not the first time that a crypto exchange is hacked in this way. During this year we have witnessed how CoinCheck and BitGrail, two important crypto exchanges, have been affected by similar hacks. CoinCheck has lost $6,578 billion ZAR in NEM tokens, which is now the 15th most important currency in the market. BitGrail, an Italian cryptocurrency platform based on Nano, lost $2,565 billion ZAR after suffering a similar attack. 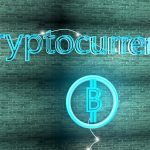 Most of the funds of these two attacks were not able to be recovered, which is very frustrating for users that put their trust in a third party platform like an exchange, after these hacks, the Japanese Financial Services Agency decided to impose stronger regulations to crypto-related companies and crypto exchanges. The intention is to have clear rules in case these situations happen again and to reduce the risk for investors that place their funds in these platforms. At press time there is no further information about Conrail’s hack. After the hack, Bitcoin dropped over 13% in a very short period of time. It passed from $7,650 to $6,630 in the Bitfinex exchange. At the moment of writing this article, and after 24 hours since the hack happened, the market cannot recover from it. Bitcoin it is currently being traded around $6,700 dollars with almost no change compared to 24 hours ago. Ethereum, the second most important virtual currency is also losing 2.57% and each Ether currency can be bought for $520 dollars. No top 10 virtual currency was able to operate positively in the last day. The total crypto market capitalization has also fallen under $300 billion dollars, its lowest point since March 2018. 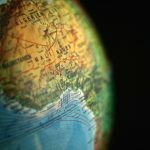 PREVIOUS Previous post: Cryptocurrency a solution for African Payments Woes?